Gas is lankal op die horison – maar dis nou “vriendskap en samewerking” asook eiendom. Gas, steenkool, goud en veral hout word uitgevoer – ontbossing vind redelik plaas. Wie gaan uiteindelik die “gas”, steenkool, goud en ander minerale beheer in hierdie area – Mosambiek of iemand anders? Who will be in control of all the minerals in Mozambique – especially gas pipelines to other countries, inclusive South Africa. And the Cahora Bassa. And all those new fancy buildings? Hidroeléctrica de Cahora Bassa (HCB) operates the Cahora Bassa hydropower plant, which has an installed capacity of 2,060 MW. Located in Tete province, Mozambique, the company’s mission is to generate, transmit and sell clean electricity efficiently and sustainably, maximising the benefits for the shareholders and generating wealth for the country. December 2018 – An additional 78,000 megawatts (MW) in clean energy storage capacity is expected to come online by 2030 from hydropower reservoirs fitted with pumped storage technology, according to the International Hydropower Association (IHA). Wood, gas and Coal in Mozambique , but the country is still very very poor and for whom is those luxurious buildings for? 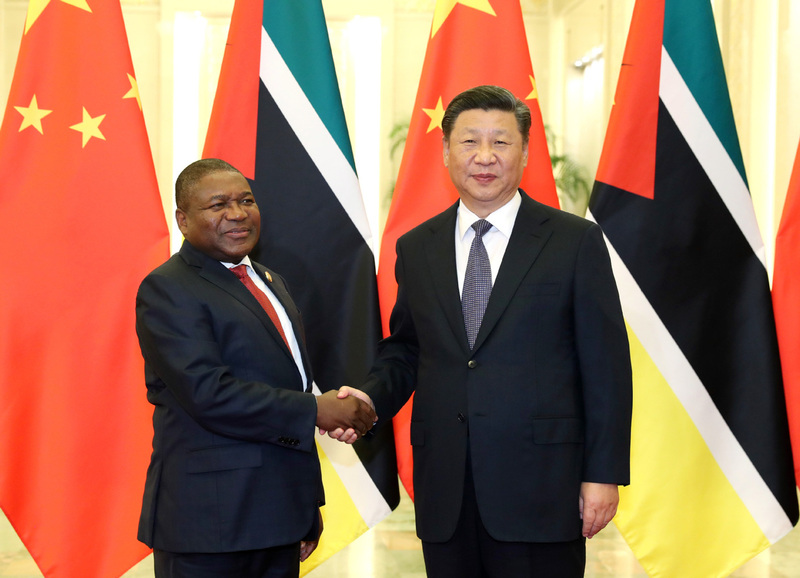 Will the Chinese train the people of Mozambique? 2017 – Mozambique could, by 2030, have discovered double current estimated natural gas reserves of 180 trillion cubic feet located in the Rovuma river basin off the north coast of the country, according to Mozambican daily newspaper Notícias. The information was given by the Minister of Mineral Resources and Energy, Letícia Klemens at an international conference on the production and consumption of liquefied natural gas (LNG) in Tokyo, Japan. A consortium led by Italian oil company Eni said in June it had made a final decision to invest in the sea off the northern coast of Mozambique, becoming the first major natural gas project to launch the implementation phase in the country. Let’s take a look at some of those initiatives now. Mozambique has vast natural gas potential. But it’s Chinese construction companies that are transforming the country’s urban areas.